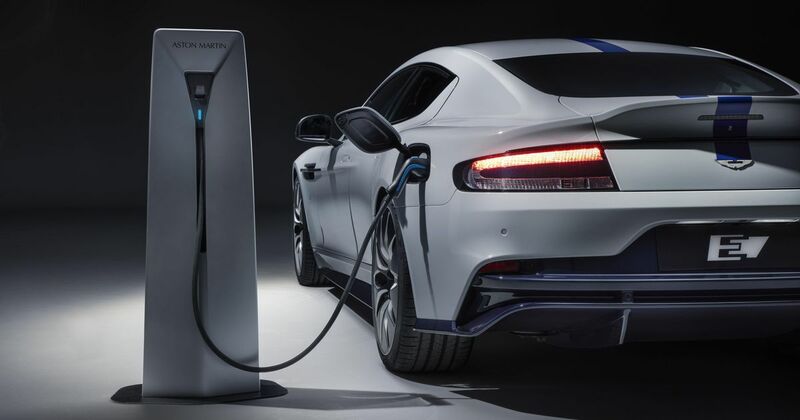 British luxury and sports car maker Aston Martin has fully joined the race towards electrification with an all-electric Rapide, its first fully battery-fed model. The twin-motor, 604bhp Rapide E is a four-door cruiser set for a build run of just 155 cars as the company dips its toes into the murky waters of customer demand and production viability. Its technical details were first mooted last year. Although based on the existing platform it has a number of differences aimed at increasing efficiency, including a new under-floor design running into a diffuser made more effective by the absence of exhaust pipes. Lightweight, forged alloy wheels are designed to cut drag without hampering brake cooling. 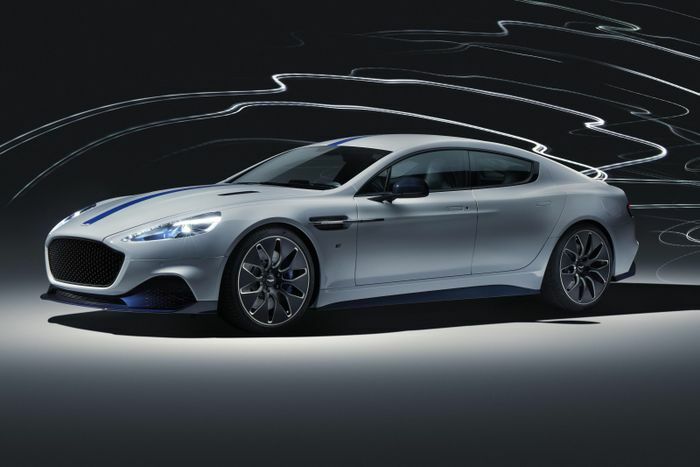 Along with low-rolling-resistance Pirelli tyres the Rapide E’s tweaks can muster an eight per cent aerodynamic improvement over the petrol car. It’s not all about saving energy, though. 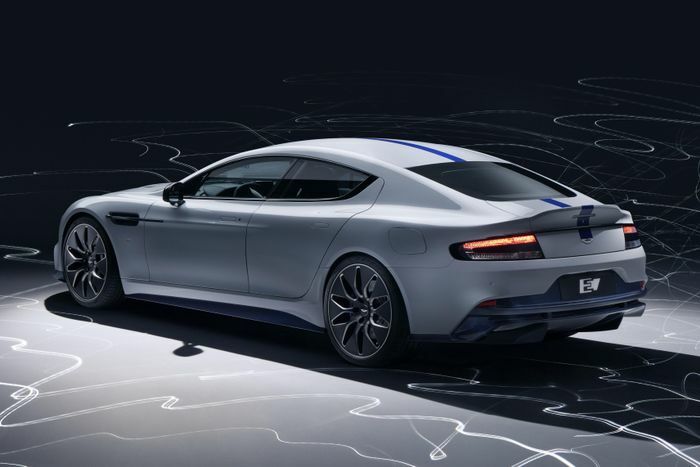 According to Aston Martin, the car will hit 62mph in 4.2 seconds and leap from 50 to 70mph in just 1.5 seconds, making it at least as effective at real-world overtaking as the V12-powered DB11. Thank the 700lb ft of torque for that. Top speed is limited to 155mph through a single-speed gearbox. Two motors mounted on the rear axle provide the muscle, spinning to 11,500rpm and driving the rear wheels only. Double wishbone suspension at all corners has anti-squat and anti-dive technology, bolstered by adaptive dampers and a three-stage switch in the cabin. Vast 400mm front discs gripped by six-piston calipers do the business when it comes to hard stops, but the motors themselves may do most of the braking in everyday driving. 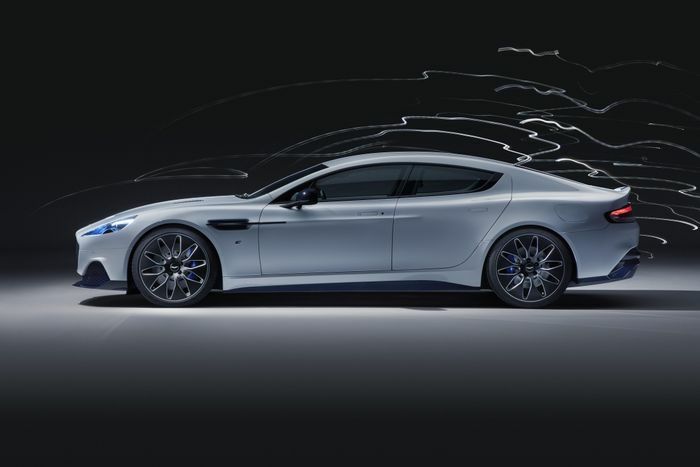 Traction is aided by a limited-slip differential but the Rapide E isn’t designed to be a hyper-agile sports machine. Its electro-hydraulic steering rack takes three full turns from lock to lock, which is a sweet spot for a grand tourer. A range of only 200 miles, tested under the tougher WLTP cycle, is less impressive for a GT car, but it’s more than enough to make sure your expensive luggage set in the modest boot will make it to another fast-charger. 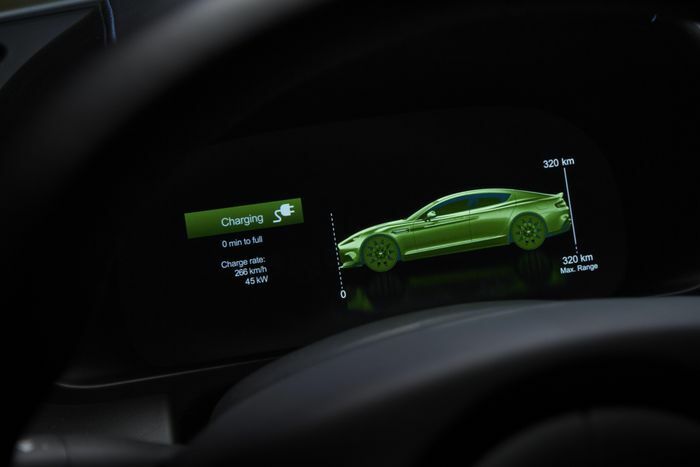 As for charging, a cutting-edge 800v electrical system can theoretically allow recharge speeds of up to 310 miles of range per hour – although it’s not as simple as taking that number for granted because charging speeds have to slow significantly as the current battery tech passes 80 per cent full, to prevent cell damage. The batteries themselves are mounted where the V12, gearbox and fuel tank used to be. Aston mentions ‘strict weight targets’ from the outset of the project but the result is a porky 2140kg car. Battery technology simply isn’t at a lightweight stage, yet, and with 65kWh on board, the Rapide E has plenty of batteries. Interestingly, Aston says there is no perceptible degradation in performance throughout the battery’s charge cycle, making the performance stats as valid at a quarter charge as when full. Three driving modes will span GT, Sport and Sport+. Each will affect both the powertrain and the chassis setup. 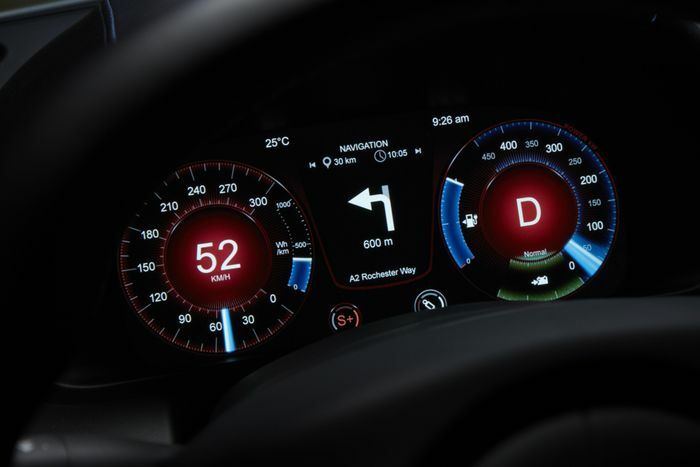 Also available for the drive to play with is a 10-inch digital instrument cluster that can display all the EV-specific data you could wish for on top of a simulation of traditional dials.